Indigenous African Bushmen purportedly have been using nature’s appetite suppressant for years, in the form of hoodia gordonii. This cactus like plant, whose flowers literally smell of rotten meat, is thought to use its active ingredient, P57, to repress the appetite. Supposedly, this herbal appetite suppressant has helped African Bushmen stave off hunger on long journeys, explaining its new found popularity on the diet scene. However, since none of the Bushmen kept a detailed list of hoodia gordonii side effects handy, and little testing has been done in humans to determine its true effects, currently, hoodia gordonii side effects are largely unknown. For people with compulsive eating problems, this magic meat scented plant might seem like a godsend. However, some interesting theories might surprise you. First, it is thought that hoodia diet pills don’t even contain enough active ingredient to keep hunger at bay. That’s right; the truth about active ingredient P57 is that apparently you need quite a bit to facilitate any sort of appetite reduction. Secondly, there is buzz about its possible link to dehydration, based on folkloric stories from Bushmen. Some of these tales tell of these tribal people taking pure hoodia gordonii to ward off hunger, and warding off thirst at the same time, later passing from dehydration. The problem with all of this is that there is little evidence at all to suggest that P57 does anything to keep you from eating down the house. And, while there currently are little known hoodia gordonii side effects, that doesn’t mean that there are none. There are reports of liver damage when taking supplements containing hoodia, although reportedly not caused by P57 itself. Additionally, it was noted that whatever was in these compounds that was causing liver function problems was not easily removed by processing. It’s entirely possible that Hoodia could be the weight loss wave of the future, but because of the large number of companies trying to profit off of its mysterious historical background, and the current restrictions on even obtaining the plant from its native Africa, it’s likely that what you are taking doesn’t contain much of this possible hunger curing ingredient. 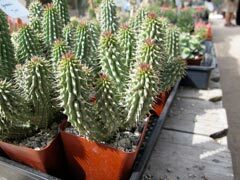 Additionally, since so little is known about hoodia gordonii side effects, do you really want to be the guinea pig? It’s best to hold off on picking up a bottle of P57 powered super pills until proper tests can be performed. Prescription Appetite Suppressants - Are They Safe?